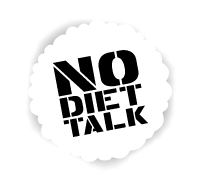 By now, you've probably heard me talk about my fat group. The other awesome Perth Aussie Curves ladies. 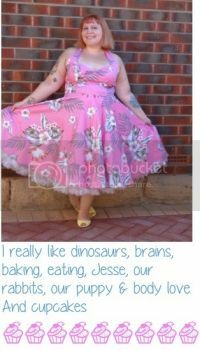 We have branched off somewhat, and created our own Perth Curvettes group. We all threw our choices in, and this is the list that we can up with. The Summer Style challenge runs from 1 Jan 2014 - 28 Feb 2014. We can post them whenever we like, in any order we like, and even combine 2 or more of the themes into one outfit. Please feel free to join in too, just use the hashtag #perthcurvettes or add your blog to the linky. 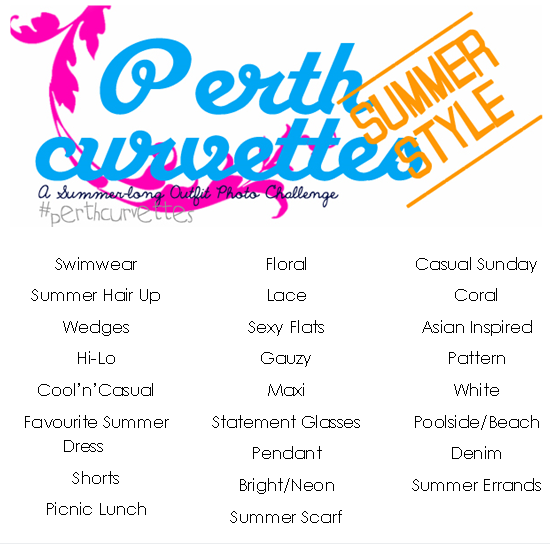 I'm going to try and incorporate the themes into my 'What I Wore' posts, so instead of having stand alone posts, they will be part of this Perth Curvettes summer style challenge.